The writer in Tharoor has always fascinated me. I have found his prose very beautiful. I have to admit that I say so by only reading his ‘India: From Midnight to the Millennium’. But in this trip I bought a few of his books and read his superbly written collection of essays ‘Bookless in Baghdad’. This journey has given me good reading time. The book is not all about Baghdad, except for one essay that goes by that title. It is a book about reading from a writer who is a voracious reader. It is in my opinion an expression of the writer’s love for reading. 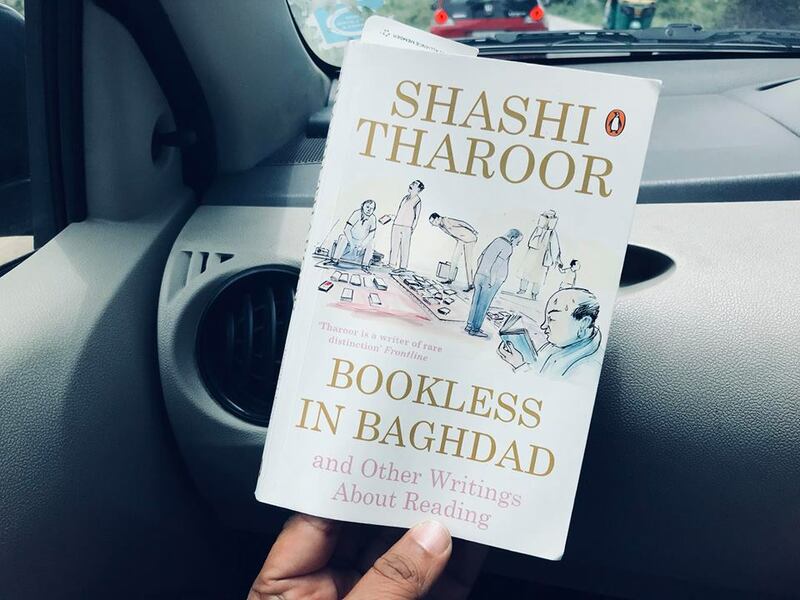 A book that is more about Tharoor the reader than Tharoor the writer. He touches on various books, themes and writers in the 230 pages. Rushdie, R.K Narayan, Neruda, Octavio Paz, Nirad Chaudhuri and many others appear in the various essays. He also goes behind the scenes and steps into his own writing (in my opinion) through the eyes of his readers. He also balances his secular thoughts and world views and even touches on subjects like how to react to criticism, especially when writers are a bit on the high ego side of the spectrum. He does not hide his raw thoughts on Churchill the person. As a whole it is a book for the readers and just like his essay ‘Bookless in Baghdad’, it is like a stroll through a book souk (market) that runs through 230 pages….